SEDDON are a 5-Piece Alternative Metal act from Melbourne’s suburbs, and they are the answer to the question ‘Is metal dead?’ Drawing influences from contemporary metal acts such as Avenged Sevenfold, Trivium and Alter Bridge, as well as some old school metal influences like Iron Maiden, Machine Head & Metallica. 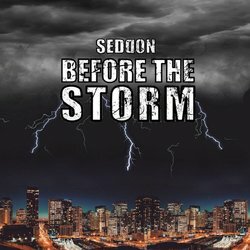 Forming in late 2017, SEDDON have been tour heavy for the majority of this year, promoting their debut EP ‘BEFORE THE STORM’ after its release in April 2018. The EP received great praise from numerous sources, including Overdrive Music, Rocky Water Reviews and Vintage Physics Audio. Averaging a good two gigs every week, new fans are garnered with every show, with a modest social media following growing by the day. Their latest single ‘THE END’ was recorded in the newly renovated Sing Sing Studios, in Box Hill, and has garnered praise and love from every person in their crowds witnessing their heavy magic. Available from the 16th of August on all major streaming services, as well as YouTube and Triple J Unearthed. Loud and in your face, Devil Inside is a fan favourite at the live shows for getting the crowds moving. With riffs and hooks strong enough to rival the great metal acts of the 2000's, you'll have a hard time not headbanging and singing along to Devil Inside.